After completing a B.Sc. in Chemistry and a M.Sc. in Molecular Biology under Dr. Jan Egebjerg at University of Aarhus in Denmark, Kasper Hansen received his Ph.D. in Molecular Pharmacology under Dr. Hans Bräuner-Osborne from University of Copenhagen, Denmark in 2006. Following a postdoctoral fellowship in the laboratory of Dr. Stephen F. Traynelis in the Department of Pharmacology, Emory University School of Medicine, he moved to University of Montana as Assistant Professor in 2013. Kasper Hansen is a faculty member of the Department of Biomedical & Pharmaceutical Sciences, the Center for Biomolecular Structure and Dynamics (CBSD), and the Center for Structural and Functional Neuroscience (CSFN). Triheteromeric GluN1/GluN2A/GluN2C NMDARs with Unique Single-Channel Properties Are the Dominant Receptor Population in Cerebellar Granule Cells. Properties of Triheteromeric N-Methyl-d-Aspartate Receptors Containing Two Distinct GluN1 Isoforms. Allosteric Interactions between NMDA Receptor Subunits Shape the Developmental Shift in Channel Properties. Distinct functional and pharmacological properties of triheteromeric GluN1/GluN2A/GluN2B NMDA receptors. Functional analysis of a de novo GRIN2A missense mutation associated with early-onset epileptic encephalopathy. The method to tightly control NMDA receptor subunit composition also provides a unique opportunity to study recombinant GluN3-containing NMDA receptors that are GluN1/GluN2/GluN3 triheteromers. Many basic questions related to the structure, function, and pharmacology of GluN3-containing receptors are unanswered, and it has not been possible to express and study a homogenous population of GluN3-containing receptors. Despite the lack of basic understanding, we know from studies using GluN3-deficient and GluN3-overexpressing mice that GluN3 subunits are involved in synapse maturation, synaptic plasticity, and neuroprotection. They could therefore be promising new therapeutic targets in several neurological diseases that include excitotoxicity or cognitive impairment. Structural basis of subunit selectivity for competitive NMDA receptor antagonists with preference for GluN2A over GluN2B subunits. Identification of AICP as a GluN2C-Selective N-Methyl-d-Aspartate Receptor Superagonist at the GluN1 Glycine Site. Design, synthesis, and structure-activity relationship of a novel series of GluN2C-selective potentiators. Subunit-selective allosteric inhibition of glycine binding to NMDA receptors. Structural and mechanistic determinants of a novel site for non-competitive inhibition of GluN2D-containing NMDA receptors. See full publication list in PubMed and citation records in ResearcherID or Google Scholar. Hansen KB, Yi F, Perszyk RE, Furukawa H, Wollmuth LP, Gibb AJ, Traynelis SF. Structure, function, and allosteric modulation of NMDA receptors. J Gen Physiol. 2018; 150(8):1081-1105. Bhattacharya S, Khatri A, Swanger SA, DiRaddo JO, Yi F, Hansen KB, Yuan H, Traynelis SF. Triheteromeric GluN1/GluN2A/GluN2C NMDARs with Unique Single-Channel Properties Are the Dominant Receptor Population in Cerebellar Granule Cells. Neuron. 2018; 99(2):315-328.e5. Yi F, Zachariassen LG, Dorsett KN, Hansen KB. Properties of Triheteromeric N-Methyl-d-Aspartate Receptors Containing Two Distinct GluN1 Isoforms. Mol Pharmacol. 2018; 93(5):453-467. Gynther M, Proietti Silvestri I, Hansen JC, Hansen KB, Malm T, Ishchenko Y, Larsen Y, Han L, Kayser S, Auriola S, Petsalo A, Nielsen B, Pickering DS, Bunch L. Augmentation of Anticancer Drug Efficacy in Murine Hepatocellular Carcinoma Cells by a Peripherally Acting Competitive N-Methyl-d-aspartate (NMDA) Receptor Antagonist. J Med Chem. 2017; 60(23):9885-9904. Lind GE, Mou TC, Tamborini L, Pomper MG, De Micheli C, Conti P, Pinto A, Hansen KB. Structural basis of subunit selectivity for competitive NMDA receptor antagonists with preference for GluN2A over GluN2B subunits. Proc Natl Acad Sci U S A. 2017; 114(33):E6942-E6951. Maolanon AR, Risgaard R, Wang SY, Snoep Y, Papangelis A, Yi F, Holley D, Barslund AF, Svenstrup N, Hansen KB, Clausen RP. Subtype-Specific Agonists for NMDA Receptor Glycine Binding Sites. ACS Chem Neurosci. 2017; 8(8):1681-1687. Jessen M, Frederiksen K, Yi F, Clausen RP, Hansen KB, Bräuner-Osborne H, Kilburn P, Damholt A. Identification of AICP as a GluN2C-Selective N-Methyl-d-Aspartate Receptor Superagonist at the GluN1 Glycine Site. Mol Pharmacol. 2017; 92(2):151-161. Sun W, Hansen KB, Jahr CE. Allosteric Interactions between NMDA Receptor Subunits Shape the Developmental Shift in Channel Properties. Neuron. 2017 Apr 5;94(1):58-64.e3. Tamborini L, Chen Y, Foss CA, Pinto A, Horti AG, Traynelis SF, De Micheli C, Mease RC, Hansen KB, Conti P, Pomper MG. Development of Radiolabeled Ligands Targeting the Glutamate Binding Site of the N-Methyl-d-aspartate Receptor as Potential Imaging Agents for Brain. J Med Chem. 2016 Dec 22;59(24):11110-11119. Yi F, Mou TC, Dorsett KN, Volkmann RA, Menniti FS, Sprang SR, Hansen KB. Structural Basis for Negative Allosteric Modulation of GluN2A-Containing NMDA Receptors. Neuron. 2016 Sep 21;91(6):1316-29. Cheriyan J, Balsara RD, Hansen KB, Castellino FJ. Pharmacology of triheteromeric N-Methyl-d-Aspartate Receptors. Neurosci Lett. 2016 Feb 23;617:240-246. Kristensen AS, Hansen KB, Naur P, Olsen L, Kurtkaya NL, Dravid SM, Kvist T, Yi F, Pøhlsgaard J, Clausen RP, Gajhede M, Kastrup JS, Traynelis SF. Pharmacology and Structural Analysis of Ligand Binding to the Orthosteric Site of Glutamate-Like GluD2 Receptors. Mol Pharmacol. 2016 Feb;89(2):253-62. Poulsen MH, Andersen J, Christensen R, Hansen KB, Traynelis SF, Strømgaard K, Kristensen AS. Binding of ArgTX-636 in the NMDA receptor ion channel. J Mol Biol. 2015 Jan 16;427(1):176-89. Khatri A, Burger PB, Swanger SA, Hansen KB, Zimmerman S, Karakas E, Liotta DC, Furukawa H, Snyder JP, Traynelis SF. Structural determinants and mechanism of action of a GluN2C-selective NMDA receptor positive allosteric modulator. Mol Pharmacol. 2014 Nov;86(5):548-60. Hansen KB, Traynelis SF. Glutamate receptors: mechanistic twists and turns. Nat Chem Biol. 2014 Sep;10(9):698-9. Zimmerman SS, Khatri A, Garnier-Amblard EC, Mullasseril P, Kurtkaya NL, Gyoneva S, Hansen KB, Traynelis SF, Liotta DC. Design, synthesis, and structure-activity relationship of a novel series of GluN2C-selective potentiators. J Med Chem. 2014 Mar 27;57(6):2334-56. Hansen KB, Ogden KK, Yuan H, Traynelis SF. Distinct functional and pharmacological properties of Triheteromeric GluN1/GluN2A/GluN2B NMDA receptors. Neuron. 2014 Mar 5;81(5):1084-96. Yuan H, Hansen KB, Zhang J, Pierson TM, Markello TC, Fajardo KV, Holloman CM, Golas G, Adams DR, Boerkoel CF, Gahl WA, Traynelis SF. Functional analysis of a de novo GRIN2A missense mutation associated with early-onset epileptic encephalopathy. Nat Commun. 2014;5:3251. Kvist T, Greenwood JR, Hansen KB, Traynelis SF, Bräuner-Osborne H. Structure-based discovery of antagonists for GluN3-containing N-methyl-D-aspartate receptors. Neuropharmacology. 2013 Dec;75:324-36. 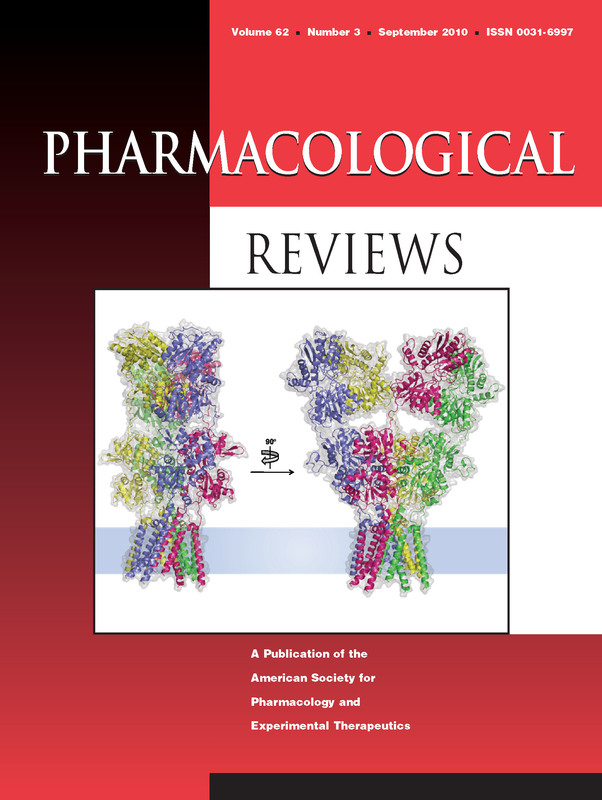 Kvist T, Steffensen TB, Greenwood JR, Mehrzad Tabrizi F, Hansen KB, Gajhede M, Pickering DS, Traynelis SF, Kastrup JS, Bräuner-Osborne H. Crystal structure and pharmacological characterization of a novel N-methyl-D-aspartate (NMDA) receptor antagonist at the GluN1 glycine binding site. J Biol Chem. 2013 Nov 15;288(46):33124-35. Development of 2’-substituted (2S,1'R,2'S)-2-(carboxycyclopropyl)glycine analogues as potent N-methyl-d-aspartic acid receptor ligands. Risgaard R, Nielsen SD, Hansen KB, Jensen CM, Nielsen B, Traynelis SF, Clausen RP. J Med Chem (2013). 56(10):4071-81. Vance KM, Hansen KB, Traynelis SF. Modal gating of GluN1/GluN2D NMDA receptors. Neuropharmacology. 2013 Aug;71:184-90. Hansen KB, Tajima N, Risgaard R, Perszyk RE, Jørgensen L, Vance KM, Ogden KK, Clausen RP, Furukawa H, Traynelis SF. Structural determinants of agonist efficacy at the glutamate binding site of N-methyl-D-aspartate receptors. Mol Pharmacol. 2013 Jul;84(1):114-27. Risgaard R, Nielsen SD, Hansen KB, Jensen CM, Nielsen B, Traynelis SF, Clausen RP. Development of 2'-substituted (2S,1'R,2'S)-2-(carboxycyclopropyl)glycine analogues as potent N-methyl-d-aspartic acid receptor agonists. J Med Chem. 2013 May 23;56(10):4071-81. Hedegaard M, Hansen KB, Andersen KT, Bräuner-Osborne H, Traynelis SF. Molecular pharmacology of human NMDA receptors. Neurochem Int. 2012 Sep;61(4):601-9. Vance KM, Hansen KB, Traynelis SF. GluN1 splice variant control of GluN1/GluN2D NMDA receptors. J Physiol. 2012 Aug 15;590(Pt 16):3857-75. Hansen KB, Ogden KK, Traynelis SF. Subunit-selective allosteric inhibition of glycine binding to NMDA receptors. J Neurosci. 2012 May 2;32(18):6197-208. Acker TM, Yuan H, Hansen KB, Vance KM, Ogden KK, Jensen HS, Burger PB, Mullasseril P, Snyder JP, Liotta DC, Traynelis SF. Mechanism for noncompetitive inhibition by novel GluN2C/D N-methyl-D-aspartate receptor subunit-selective modulators. Mol Pharmacol. 2011 Nov;80(5):782-95. Hansen KB, Traynelis SF. Structural and mechanistic determinants of a novel site for noncompetitive inhibition of GluN2D-containing NMDA receptors. J Neurosci. 2011 Mar 9;31(10):3650-61. Mullasseril P, Hansen KB, Vance KM, Ogden KK, Yuan H, Kurtkaya NL, Santangelo R, Orr AG, Le P, Vellano KM, Liotta DC, Traynelis SF. A subunit-selective potentiator of NR2C- and NR2D-containing NMDA receptors. Nat Commun. 2010 Oct 5;1:90. Hansen KB, Furukawa H, Traynelis SF. 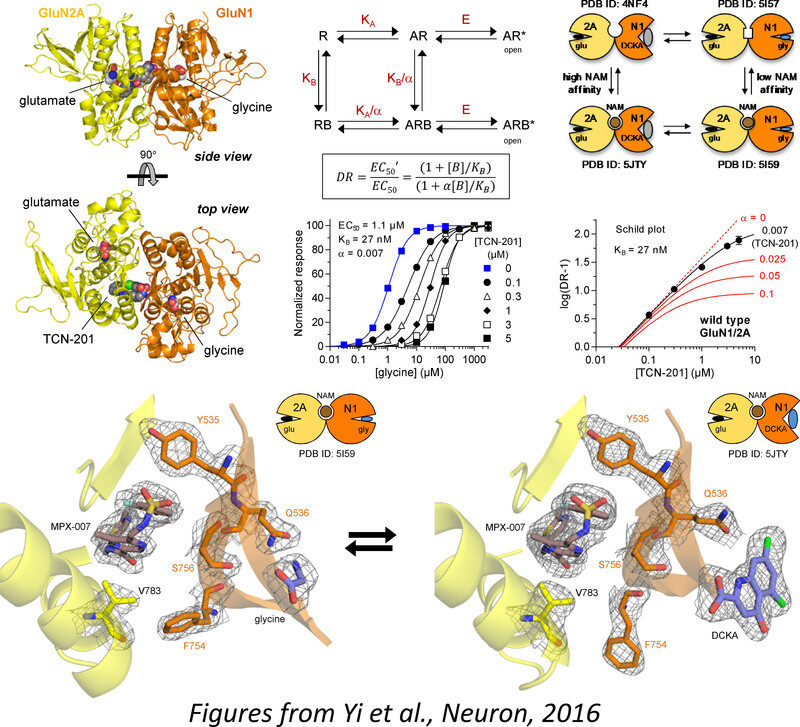 Control of assembly and function of glutamate receptors by the amino-terminal domain. Mol Pharmacol. 2010 Oct;78(4):535-49. Mosley CA, Acker TM, Hansen KB, Mullasseril P, Andersen KT, Le P, Vellano KM, Bräuner-Osborne H, Liotta DC, Traynelis SF. Quinazolin-4-one derivatives: A novel class of noncompetitive NR2C/D subunit-selective N-methyl-D-aspartate receptor antagonists. J Med Chem. 2010 Aug 12;53(15):5476-90. Hansen KB, Mullasseril P, Dawit S, Kurtkaya NL, Yuan H, Vance KM, Orr AG, Kvist T, Ogden KK, Le P, Vellano KM, Lewis I, Kurtkaya S, Du Y, Qui M, Murphy TJ, Snyder JP, Bräuner-Osborne H, Traynelis SF. Implementation of a fluorescence-based screening assay identifies histamine H3 receptor antagonists clobenpropit and iodophenpropit as subunit-selective N-methyl-D-aspartate receptor antagonists. J Pharmacol Exp Ther. 2010 Jun;333(3):650-62. Andersen J, Olsen L, Hansen KB, Taboureau O, Jørgensen FS, Jørgensen AM, Bang-Andersen B, Egebjerg J, Strømgaard K, Kristensen AS. Mutational mapping and modeling of the binding site for (S)-citalopram in the human serotonin transporter. J Biol Chem. 2010 Jan 15;285(3):2051-63. Zhong H, Hansen KB, Boyle NJ, Han K, Muske G, Huang X, Egebjerg J, Sánchez C. An allosteric binding site at the human serotonin transporter mediates the inhibition of escitalopram by R-citalopram: kinetic binding studies with the ALI/VFL-SI/TT mutant. Neurosci Lett. 2009 Oct 25;462(3):207-12. Yuan H, Hansen KB, Vance KM, Ogden KK, Traynelis SF. Control of NMDA receptor function by the NR2 subunit amino-terminal domain. J Neurosci. 2009 Sep 30;29(39):12045-58. Andersen J, Taboureau O, Hansen KB, Olsen L, Egebjerg J, Strømgaard K, Kristensen AS. Location of the antidepressant binding site in the serotonin transporter: importance of Ser-438 in recognition of citalopram and tricyclic antidepressants. J Biol Chem. 2009 Apr 10;284(15):10276-84. Hansen KB, Naur P, Kurtkaya NL, Kristensen AS, Gajhede M, Kastrup JS, Traynelis SF. Modulation of the dimer interface at ionotropic glutamate-like receptor delta2 by D-serine and extracellular calcium. J Neurosci. 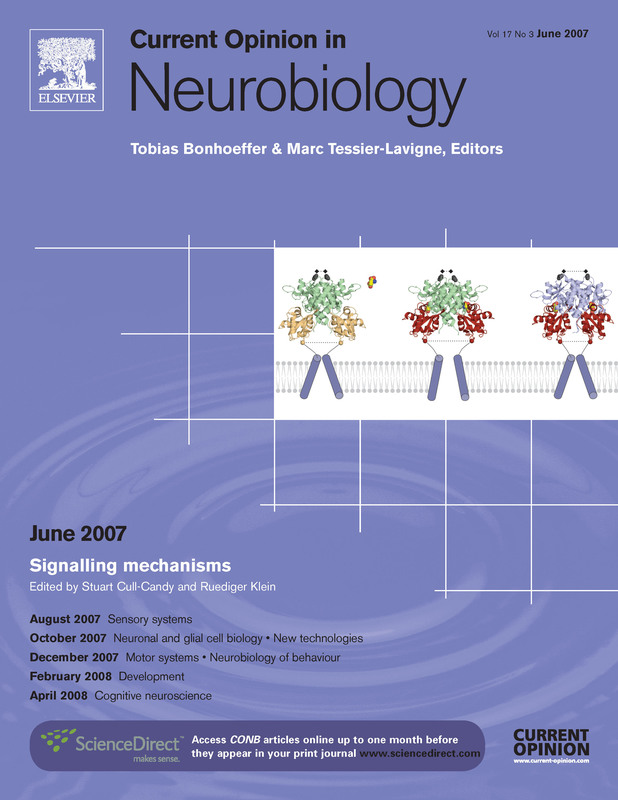 2009 Jan 28;29(4):907-17. doi: 10.1523/JNEUROSCI.4081-08.2009. Clausen RP, Christensen C, Hansen KB, Greenwood JR, Jørgensen L, Micale N, Madsen JC, Nielsen B, Egebjerg J, Bräuner-Osborne H, Traynelis SF, Kristensen JL. N-Hydroxypyrazolyl glycine derivatives as selective N-methyl-D-aspartic acid receptor ligands. J Med Chem. 2008 Jul 24;51(14):4179-87. Hansen KB, Bräuner-Osborne H, Egebjerg J. Pharmacological characterization of ligands at recombinant NMDA receptor subtypes by electrophysiological recordings and intracellular calcium measurements. Comb Chem High Throughput Screen. 2008 May;11(4):304-15. Erreger K, Geballe MT, Kristensen A, Chen PE, Hansen KB, Lee CJ, Yuan H, Le P, Lyuboslavsky PN, Micale N, Jørgensen L, Clausen RP, Wyllie DJ, Snyder JP, Traynelis SF. Subunit-specific agonist activity at NR2A-, NR2B-, NR2C-, and NR2D-containing N-methyl-D-aspartate glutamate receptors. Mol Pharmacol. 2007 Oct;72(4):907-20. Naur P, Hansen KB, Kristensen AS, Dravid SM, Pickering DS, Olsen L, Vestergaard B, Egebjerg J, Gajhede M, Traynelis SF, Kastrup JS. Ionotropic glutamate-like receptor delta2 binds D-serine and glycine. Proc Natl Acad Sci U S A. 2007 Aug 28;104(35):14116-21. Hansen KB, Yuan H, Traynelis SF. Structural aspects of AMPA receptor activation, desensitization and deactivation. Curr Opin Neurobiol. 2007 Jun;17(3):281-8. Christiansen B, Hansen KB, Wellendorph P, Bräuner-Osborne H. Pharmacological characterization of mouse GPRC6A, an L-alpha-amino-acid receptor modulated by divalent cations. Br J Pharmacol. 2007 Mar;150(6):798-807. Hansen KB, Clausen RP, Bjerrum EJ, Bechmann C, Greenwood JR, Christensen C, Kristensen JL, Egebjerg J, Bräuner-Osborne H. Tweaking agonist efficacy at N-methyl-D-aspartate receptors by site-directed mutagenesis. Mol Pharmacol. 2005 Dec;68(6):1510-23. Wellendorph P, Hansen KB, Balsgaard A, Greenwood JR, Egebjerg J, Bräuner-Osborne H. Deorphanization of GPRC6A: a promiscuous L-alpha-amino acid receptor with preference for basic amino acids. Mol Pharmacol. 2005 Mar;67(3):589-97. These programs are part of the Molecular and Biomedical Sciences (MBS) umbrella. The lab is looking for highly motivated candidates to join the research team. We are especially looking for those with skills in electrophysiology, X-ray crystallography, or molecular neuroscience and strong interests in ionotropic glutamate receptors, synaptic transmission, and CNS disorders. Interested applicants are welcome to send their CV and cover letter by email to Kasper Hansen.